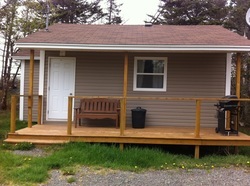 Golden Sands Resort Located 15 KM from Marystown. Turn Right at Mcdonalds and drive 11 KM, then drive 4 KM to our gate. 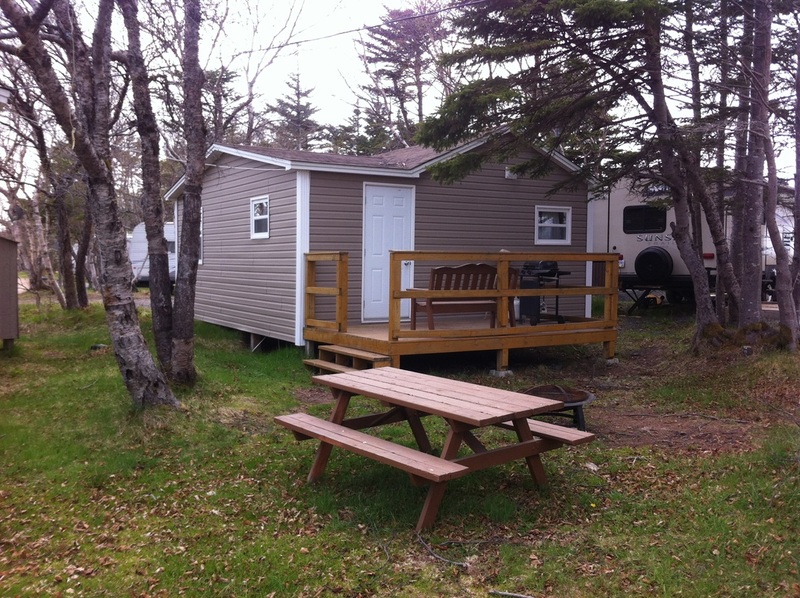 ALL CABINS HAVE DECK WITH PROPANE BBQ, PICNIC TABLE, BENCH AND FIREPIT. We have 4 three bedroom chalets. 3 bedrooms with one double bed in each room. We have 3 two bedroom chalets. 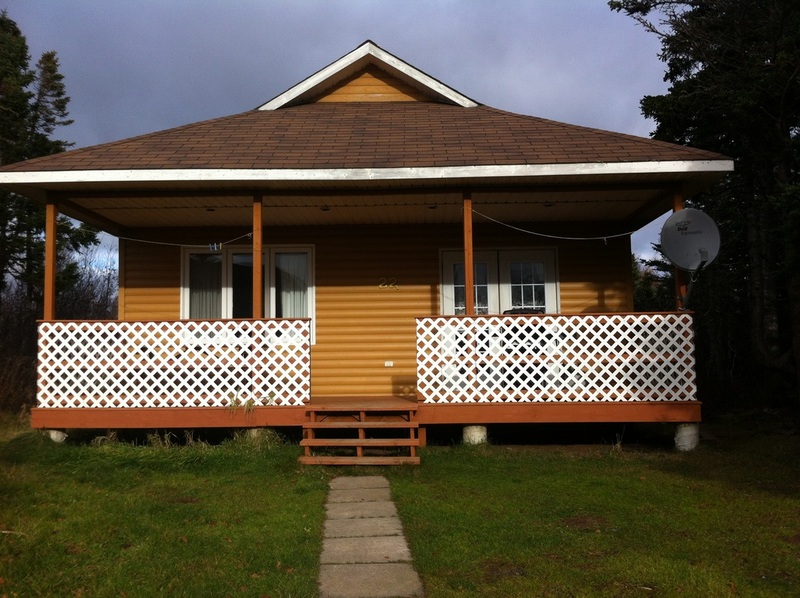 2 bedrooms with one double bed in each room. 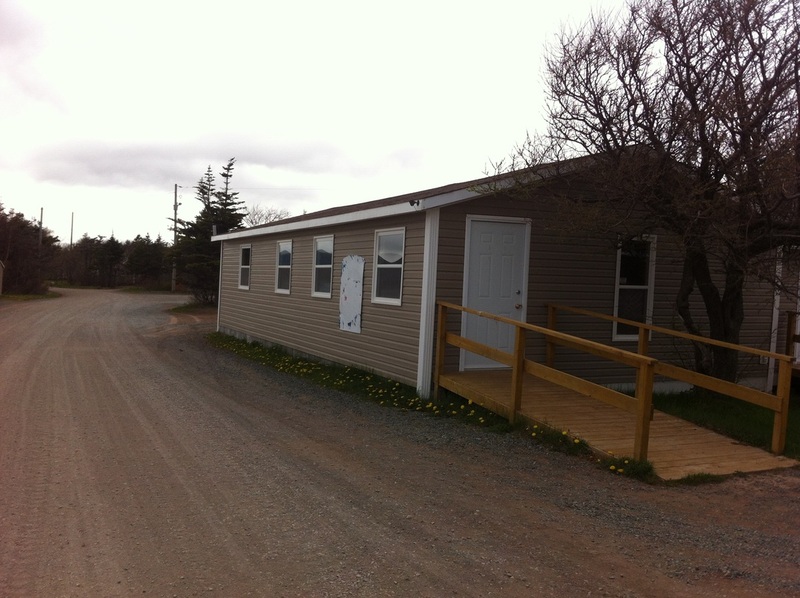 We have 11 two bedroom cabins with a double bed in each room and one double pullout in living area. Price - $120 + tax. 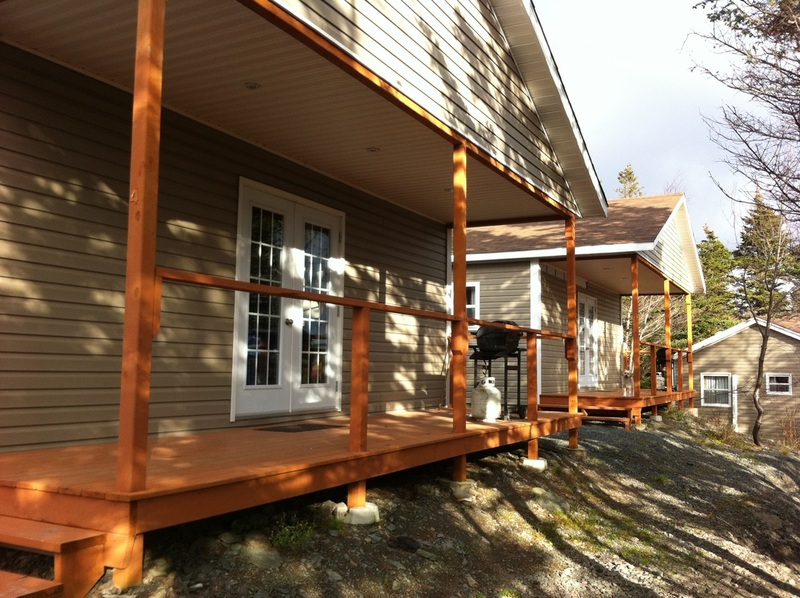 We have 5 one bedroom cabins with one double bed in each room and one pullout in living are.